The Gillesp ie Law Group is please to announce that Kate Ball has joined the firm as a new associate attorney. With prior international litigation experience based out of Washington D.C., and having clerked for the U.S. District Court for the Southern District of Ohio, Kate brings her experience to counsel entrepreneurs as they seek to grow (and protect) the companies that are their passion and livelihood. 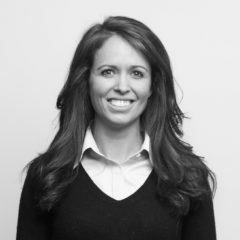 Our firm is known for delivering the highest quality of legal services to the startup community (including navigating many of the largest venture-backed transactions in each of the past several years), and adding Kate to our team not only expands the breadth of our knowledge, but allows us to connect with even more of the entrepreneurs and influencers that have and continue to put Columbus, Ohio on the national business scene. Kate is an active member of the community, as an attorney and a citizen. We are delighted to have her, and ask that you join us in welcoming her.